As part of the Arab Spring of 2010, civil disturbance and then war broke out in Libya. 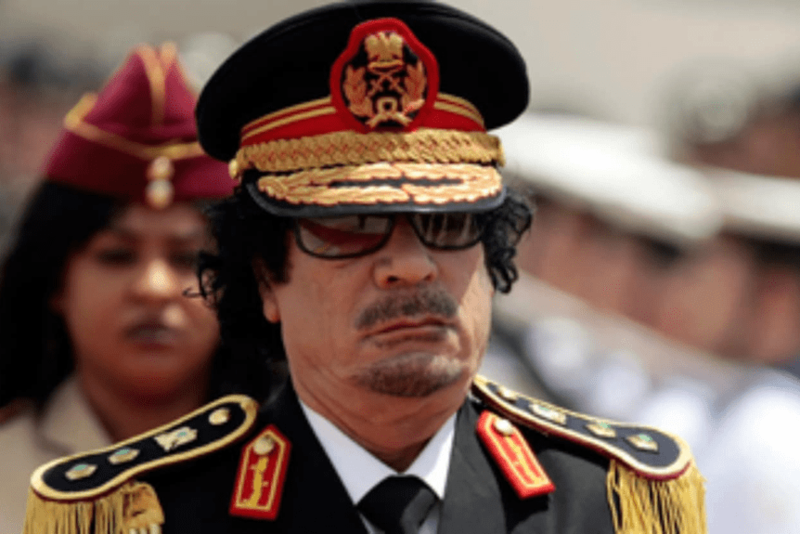 The National Front for the Salvation of Libya, a relatively small group form Benghazi, and a few other smaller groups were pushing for democratic reforms in opposition to the dictatorship of Muammar Gaddafi, who had been running the country since the military coup in 1969. As the civil war spread, the West led by the United States decided to get involved in helping to overthrow the dictator. On the surface, this was to further the goals of democratization and freedom. However, one thing that many sub-Saharan Africans knew was that Gaddafi was in many ways an admirable leader. Because the economy of Libya was not just stable but growing, that country had become a haven for many Africans fleeing the poverty and uncertainty of life in their own countries. Mostly from Western African nations such as Mali, Ghana, Nigeria, Sudan found not just employment but free medical care, and universal and free education for their children. If they married, they were even given a subsidy. From a sub-Saharan point of view, the most remarkable thing about Gaddafi’s benevolent dictatorship was that it reversed the historical tension between Arabs and Africans. Centuries of Blacks being taken for slavery and sold throughout the Middle East and for those of us, like myself, living in South Sudan centuries of raids to steal our cattle and destroy our homes were being replaced by a sense that this Arab from this Muslim country was actually trying to make our world better. Perhaps the West would have left Gaddafi alone despite his stated and acted upon opposition to America and Britain, but then he tried to do the unthinkable, to undermine the dominance of the Western monetary system. The dollar was the single most important currency. It was used to price oil and in that way dominated the pricing of everything worldwide. Just behind it was the Euro. Gaddafi decided to create a new currency, one based on the enormous wealth of his government, one that would be backed by Libya’s growing gold reserves. This gold-backed dinar would, he hoped, become a universal currency for Africa. If that were to happen, it would give Libya and Gaddafi tremendous influence as the United States, Europe, and other countries tried to buy the raw materials of Africa. It would also keep those developed countries from having a stranglehold on trade with the continent. That was why Gaddafi had to go and why the West weighed in on what was a small civil war. No, it wasn’t to save the people of Libya from this despot. The vast majority of Libyans were happy with their lives even if they did want real elections and more freedom. Pure and simple, this was not for democracy. Consider in contrast the protests in Bahrain in which vast numbers took part and which were quickly put down by Saudi Arabia; did the West raise even a muted voice of concern? Gaddafi had to go because the West wanted to end his attempt to counter their economic hegemony. Just at decades earlier the U.S. and Britain had conspired to overthrow the democratically elected government of Iran because the new Prime Minister wanted to stop the Western oil companies’ stranglehold on his country’s oil production. Just as in Iran, the unintended consequences of the West’s interventions were bitter and destructive. Iran ended up in the ends of a royal dictator in in the aftermath of his overthrow American diplomats ended up imprisoned. In Libya, the aftermath has included a breakdown of the society including the horrors of modern slave trading and ironically for America the killing of four diplomats in that city of Benghazi. What exactly were those diplomats doing in Benghazi? What was so important that they were sent there despite the obvious dangers? That may be the real question that was never answered despite those hundreds of investigations by the American Congress. Having broken the vase that was Libya, had the U.S. decided it was their right to remake things, to perhaps put another shah in control? Whatever the fantasy of control that the American and European governments may have had, the reality was that the fragile vase that had been the promise of Gaddafi’s Libya was gone. Today, many people from sub-Saharan Africa are still making their way to Libya in the hope of a better life. But, it is no longer there. Instead, as with so much of the afterward of American and European meddling, there is sadness and lack of human decency. Is it not the time for the world to learn that such overreach by other countries, such attempts at regime change cannot work if the reason for action is not the greater good but the greater self-interest of the great powers. 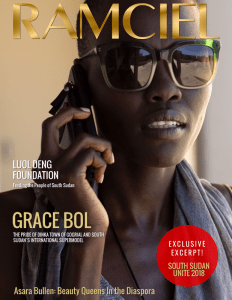 Deng Mayik Atem, a Lost Boy of South Sudan, lives in Phoenix, Arizona. 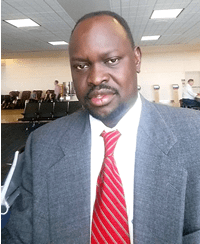 A citizen of both the United States and South Sudan, Deng is active in the South Sudanese Diaspora community. A graduate of A.S.U. with a degree in political science, Deng hopes to see his native land develop a stable economic and political system as part of a greater Africa.